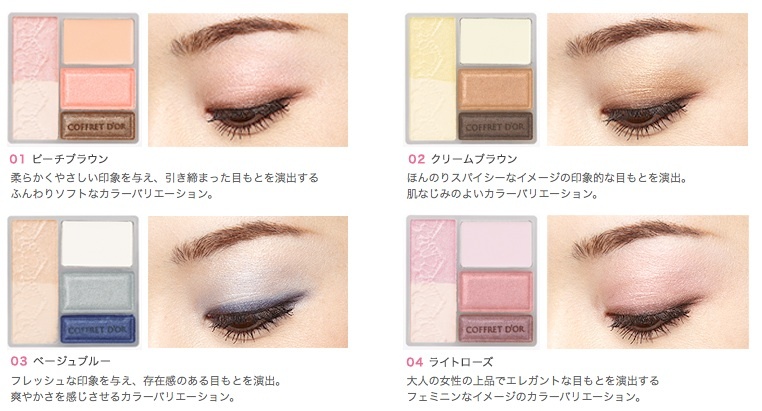 Here are the new commercials for Coffret D'Or Beauty Face Shadow and Bright Up Rouge (Long Keep). 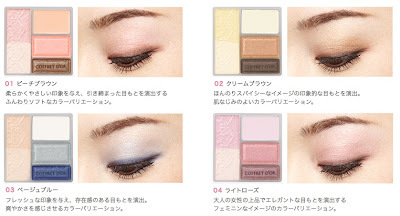 The new summer makeup collection can be viewed here. The shade selection consists of OL-friendly pastels and neutrals... *yawn* but the case is very pretty. See close-up pics on Iroha. The palette used is 01 Peach Brown.